Overdraft fees, assisted phone banking costs, paper billing surcharges — the devil's in the details of an unchecked bank statement, a financial expert suggests. Overdraft fees, assisted phone banking costs, paper billing surcharges — the devil's in the details of an unchecked bank statement, a financial expert says. "When you check your bank statement at the end of the month and you see all of these fees, what are they? Why are they there? Are you aware of them? Did you agree to them?" says Toronto-based financial planner Shannon Lee Simmons. "Did you agree to it, knowing what you agreed to? That's the big question." A recent CBC News Go Public investigation revealed that employees from Canada's five big banks — RBC, BMO, CIBC, TD and Scotiabank — felt pressured to upsell and trick customers in order to meet demanding sales targets. "I bumped up credit cards, overdraft or account types just because of the pressures," said a former TD employee. 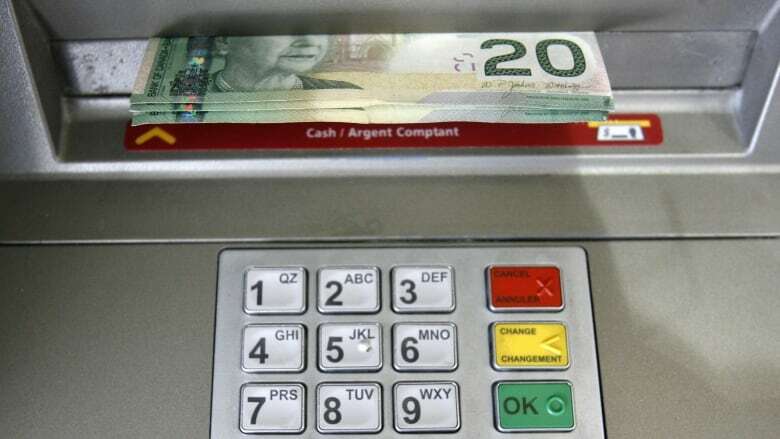 Canadians paid an average of $216 annually in bank service fees in 2015, according to Statistics Canada. That money may go toward paying for monthly banking services or for add-on surcharges such as e-transfers or overdrafts. Others may be less obvious, Simmons warns. "In modern days, where a lot of services are turning into subscriptions and what-not, little sneaky fees have a way of automatically [being applied to] your chequing account or your credit card without you even knowing it," she says. "You want to see what charges are happening automatically for services that you didn't think you signed up for." Here are some fees to be mindful of when scanning a statement or signing on with a bank. Many banks offer to drop monthly chequing account fees so long as the customer maintains a minimum balance in his or her account. In recent years, that minimum has increased to as much as $5,000 depending on the account. But, a consumer might pay a price for maintaining a high minimum, according to a 2014 report on banking fees from the watchdog Financial Consumer Agency of Canada. FCAC says a customer may face "opportunity costs," which some might see as an indirect fee. "More important is the accumulated interest that consumers could have avoided had they used their money to pay down outstanding debt instead of maintaining a minimum balance in their chequing account." Consumers can protect themselves by being direct with their bank, Simmons says. "Always ask a question of 'What can I do to pay no fees?'" she said, noting that many banks will offer options that allow fees to be waived if you also have a tax-free savings account or another type of product. "Don't be afraid to ask what you need to do to get free banking." Telephone banking in many cases will qualify as a self-service transaction, meaning a customer won't pay an additional fee. But some financial institutions have created a second tier of assisted phone banking, for which there is a charge, warns FCAC. "When a consumer speaks to a live customer service representative, the transaction is now defined as assisted," the FCAC report said. "This type of transaction is not covered by chequing account packages and is subject to a range of new fees." Beware the overdraft option, Simmons says, warning it can lead to a vicious cycle of spending and not saving. At first glance, it may seem like paying an additional $4.00 a month to protect yourself when you slip out of the black and into the red. It might also appear valuable as a way to avoid a non-sufficient funds fee — and perhaps an associated ding to the credit score. But Simmons says the cumulative costs are high. "Overdraft protection is such a dangerous game in the first place and it's so expensive," she says. "There almost becomes a dependency on it because if you use it a few times, then you get into a situation where you're always paying back your chequing account and you're never really getting ahead… Overdraft protection is basically saying, 'I can't afford what I'm trying to pay for.'" Simmons warns the same advice applies for credit cards with generous debt limits. A reasonable rule of thumb, she suggests, is to limit overdraft and credit card debt to what can paid off within one or two paycheques. Sending money via email transfer may be convenient but consumers who haven't subscribed to plans with unlimited transactions should be prudent. Some banks charge about $1.00 to $1.50 per transaction. "Most people are sending money that way these days and so the fees can creep up on you," Simmons said. The FCAC report, which surveyed Canadian banks, said that email transfers are higher than other service fees. "For most financial institutions, the charge per email transfer is 50 per cent higher than the fee assessed on in-branch transactions, withdrawals from banking machines or telephone transfers." Consumers should be mindful of a host of other surcharges such as paper billing, withdrawing money from another bank's ATM, or printing a statement update at an ATM. Simmons says customers should do their research and question the bank about items on their statement that are puzzling or that they don't use. "Sometimes the charge seems minute so are you really stressed about $10 when you have 10,000 other things to do on your to-do list?" she says. But she warns, the fees add up over time and consumers should make their banking choices carefully. "Remember that you're a customer," she said. "Shop around and be prepared. Take an afternoon and make a point of actually paying attention to it."